New York could be the most exciting place on the planet, so all the more reason to make sure that you do it justice. Activ4’s New York School Performing Arts trips don’t just cover the bare essentials we offer a commitment to provide the best value, tailor-made and inspirational educational experiences for young people beyond the classroom. For over a decade our New York based destination team has been providing the most successful experiences. There is so much to see and do that the problem is fitting it all in. Through knowledge, experience and passion, we aspire to deliver educational experiences to young people with market leading standards of safety, support and value. New York school trips mean the chance to experience what being on Broadway means. Not only seeing one of the fabulous shows but actually being able to feel part of it; the workshops just off Broadway, meeting cast members, choreographers and directors. This is what I mean about the vibe… you can almost touch it. Inspirational is an overused term but if being part of this experience doesn’t inspire you then sadly nothing will. is situated in Manhattan, close to Broadway theaters, 5th Avenue shopping, Restaurant Row, world-class museums and nearby Central Park. Located close to Times Square 42nd Street New York City Subway, it makes it easy for guests to travel around New York City and its surrounding areas. All NYC airports are just a 30-minute ride away. Depart from the UK bound for New York City. On arrival you will be met by a member of the activ4 American team whom will assist with the coach transfer and check in at your accommodation. 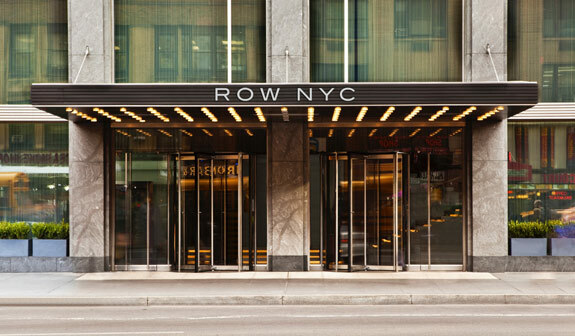 The ROW NYC Hotel is in the heart of NYC’s Theatre District, 1 block from NYC’s Times Square. 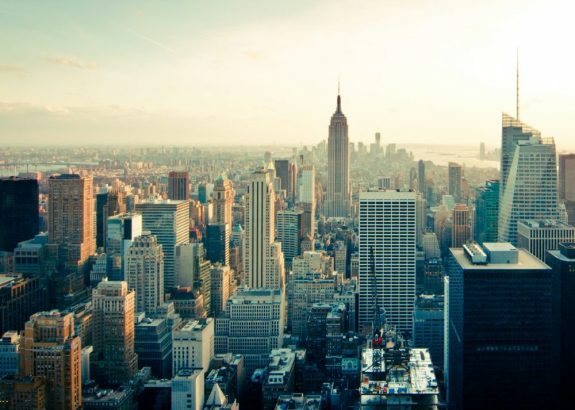 As well as Times Square, the hotel is close to the most popular NYC attractions including the Rockefeller Centre, the Empire State Building, Carnegie Hall, MOMA and Madison Square Garden to name a few. 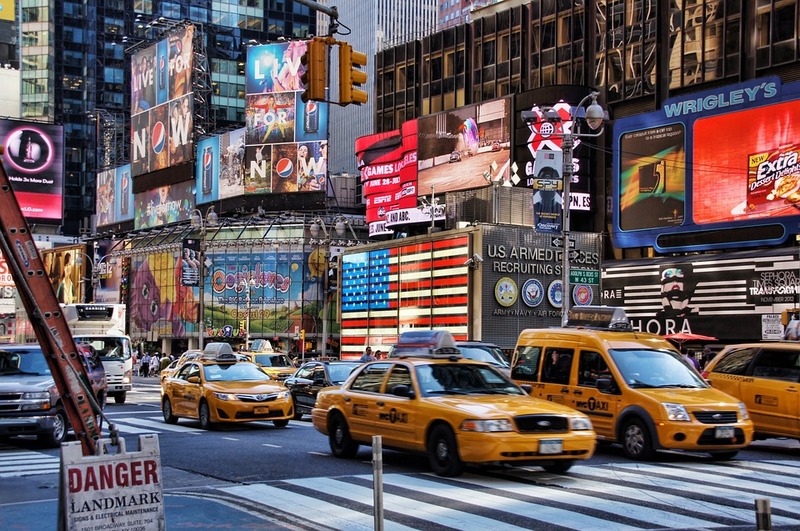 It really is a great place to base your stay in New York! Dinner tonight will be at the Hard Rock Cafe in Times Square. Our years of experience in running trips to New York City has helped us put together tours that include all the real ‘Must-Do’s’ when you visit and enable you to make this the trip of a lifetime! This morning, your group will travel to your first drama workshop of the trip. Prior to departure our experienced tour managers will go through your workshop requirements to ensure that they are tailored to your students needs. After your workshop you could opt to head to the 70th floor observatory at the Top of the Rock (optional extra) where you will be able to enjoy the dramatic views of New York City. With three floors of indoor and outdoor decks offering stunning panoramic views of the city both by day and night. Alternatively you could hire an experienced New York City Guide (optional extra) and visit the most popular part of New York City, the area between Columbus Circle and Battery Park. Inside these borders lie some of the world’s most famous places; the Empire State Building, Chinatown, The World Trade Centre, Grand Central Station, The United Nations and of course the 9/11 Memorial which is a national tribute of remembrance and honour to the 2,938 people killed in the terror attacks of September 11, 2001 and occupies the 16 acres that was The World Trade Centre. This evening you will have dinner at the Hard Rock Cafe in Time Square. After a hearty breakfast, your group will head out for your final drama workshop. This afternoon you could opt to visit to the iconic Statue of Liberty: again, with a licensed New York City guide. Board a ferry from Battery park to Liberty Island for some of the best views of New York and of the national monument; a gift of international friendship from the people of France to the people of the United States. From Liberty Island take the short journey to Ellis Island, opened in 1892 this was the entry point for European immigrants for more than sixty years. Twelve million people passed through the halls that are now the historical Ellis Island Immigration Museum. Walk through the Great Hall as the new Americans once did – ancestors of more than half of the US population. You will then head to Time Square for your evening dinner at Senor Frog’s Times Square. Sadly it’s departure day, after breakfast check out of the rooms and leave your bags behind whilst you make the most of your final hours in the City with some last minute shopping. Head over to Abercrombie & Fitch on 5th Avenue – Macy’s and Bloomingdales where you are sure to pick up something fabulous to take home with you. Return to your hotel where your coach will transfer you back to the airport so that you can check in for the overnight flight back to the UK. Arrival back in the UK. The tour officially ends when you get back to the UK, but with a trip this great we are sure that it will live long in the memory.